Для обеспечения студентов теоретическими и практическими материалами в области информатики и информационных технологий учебный материал этого пособия систематизирован и разбит на две части. В первой части пособия представлен теоретический материал, обобщающий основные понятия и положения информатики, информационных систем и технологий. Вторая часть пособия содержит решения прикладных экономических задач средствами табличного процессора MS Excel в виде 16 лабораторных работ, контрольной работы для промежуточной аттестации, самостоятельной расчетной работы и итоговой контрольной работы. Особенностью этого пособия является то, что каждое задание снабжено подробными методическими указаниями, графическими иллюстрациями, заданиями для самостоятельной работы студентов, в сложных заданиях приводятся ответы. Excel 2019 in easy steps will help you get to grips with the latest version of this popular spreadsheet application. The newer versions of Excel provide many enhancements to the user interface, and incorporate connections with Microsoft Office and other applications. The basis of the program, however, remains the same. It still consists of a large array of cells, organized into rows and columns, containing data values or formulas with relative or absolute references to other cells. Understand common security pitfalls and discover weak points in your organization’s data security, and what you can do to combat them. This book includes the best approaches to managing mobile devices both on your local network and outside the office. Data breaches, compliance fines, and distribution of personally identifiable information (PII) without encryption or safeguards place businesses of all types at risk. 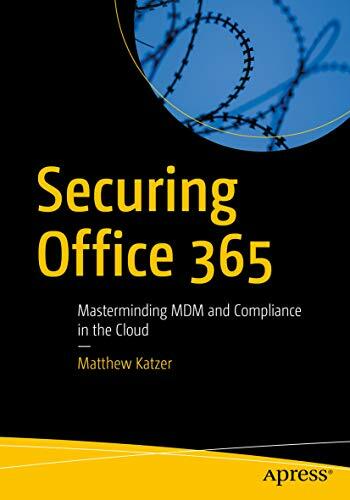 This book is written for business owners, chief information security officers (CISO), and IT managers who want to securely configure Office 365. Страниц: 400, 479 цв. ил. 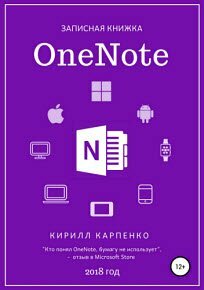 Microsoft Office 2013 is a power-packed suite of officeproductivity tools including Word, Excel, PowerPoint, Outlook,Access, and Publisher. This easy-to-use visual guide covers thebasics of all six programs, with step-by-step instructions andfull-color screen shots showing what you should see at each step.You'll also learn about using Office Internet and graphics tools,while the additional examples and advice scattered through the bookgive you tips on maximizing the Office suite. 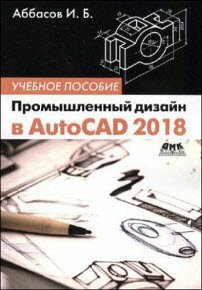 If you learn bestwhen you can see how things are done, this book is for you. Get the full-color, visual guide that makes learning Microsoft Outlook 2013 plain and simple! Follow the book’s easy steps and screenshots and clear, concise language to learn how to stay productive and keep in touch with all of your personal, business, and social media networks.